Have you just bought a killer computer game and can’t wait to get home and start playing? Maybe you were lucky enough to get the latest console for your birthday and you are dying to fire it up. Gaming has captured the hearts and minds of millions of Americans – but you might be doing your platform and games a disservice if you haven’t got the perfect set-up. Gaming, like the mobile phone industry is tech heavy and constantly evolving so it’s difficult to always know what is the next big thing and what should go straight into the bin. It’s not just gaming accessories either; the perfect system is a holistic approach to improving your gaming pleasure. VR; virtual reality is upon us and the early adopters are already enjoying a virtual gaming world straight out of Star Trek. Virtual reality glasses are becoming more popular as they become more platform compatible. 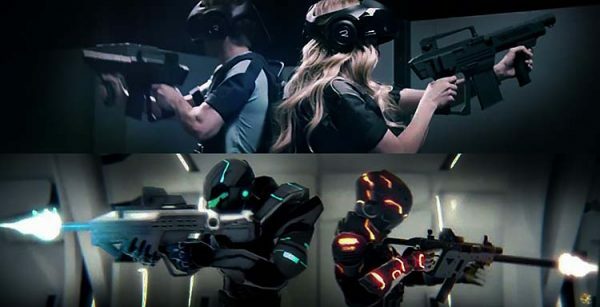 It won’t be long before VR is as commonplace as movement sensitive controllers so if you want to get in first and blaze a trail start now is the time to investigate the options and plunge into a new world of gaming. Have you just bought a killer computer game and can’t wait to get home and start playing? Maybe you were lucky enough to get the latest console for your birthday and you are dying to fire it up. Gaming has captured the hearts and minds of millions of Americans – but you might be doing your platform and games a disservice if you haven’t got the perfect set-up. Gaming, like the mobile phone industry is tech heavy and constantly evolving so it’s difficult to always know what is the next big thing and what should go straight into the bin. It’s not just gaming accessories either; the perfect system is a holistic approach to improving your gaming pleasure.